YOU'VE heard of Robocop, the fictional man-machine on a mission to lock human criminals away. But experts fear the opposite will soon come true and it will be machines that end up becoming the criminals, leaving us humans powerless to stop them. 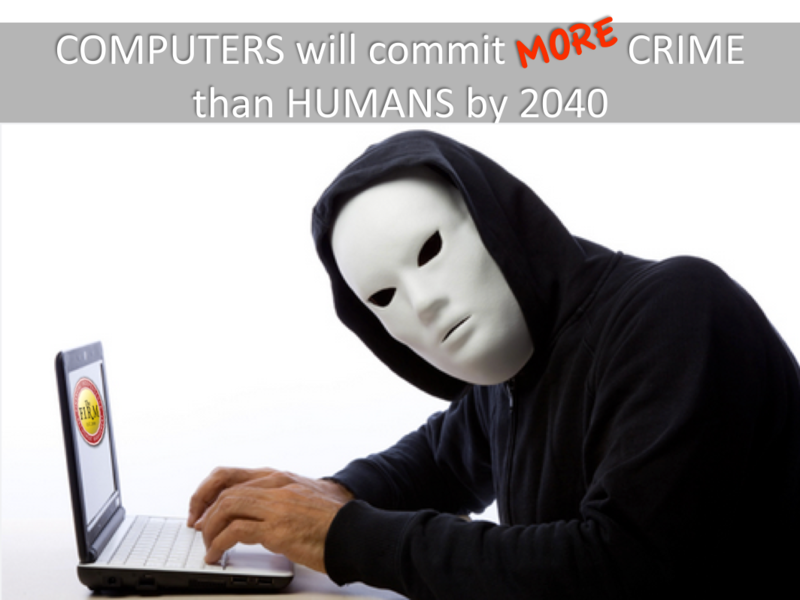 Artificial intelligence experts have claimed that computers and robots will commit more crimes than humans by 2040. They warned that murder machines will end up carrying the "lone wolf" terror attacks more associated with radicalised terrorists than psycho computers. Tracey Follows, chief strategy and innovation officer at The Future Laboratory, told Raconteur: "As the workforce moves towards more automation, we could find 35 per cent of jobs now done by humans have been replaced by robots. "Futurists have been forecasting a sharp rise in lone-wolf terror attacks for years. But once robots can be hacked to become suicide-bombing machines, lone-robot attacks could become rife too." The robotic crime wave will be driven by the rise of artificial intelligence, which is expected to give machines a cognitive ability which could even surpass that of humans. Our future is the opposite of Robocop. If the robotic crime wave seems like a distant prospect, you should consider a statistic from the National Crime Agency, which found that cyber crime made up 54 per cent of total offences in 2015. As our world becomes increasingly connected, the crimes will become more and more sophisticated, with effects in the real world and not just the virtual one. Raj Samani, a chief technology office at Intel Security, added: "It's only a matter of time before we see instances of people left helpless, unable to drive their cars unless they pay up a ransom. "We're not talking driverless cars here, just a standard modern vehicle with connectivity capabilities." That's not all. If we begin to secure our homes using the sort of locks already on cars, it's not unrealistic to imagine a sadistic computer shutting all the doors and windows to trap the person inside. Google engineers have even warned about the possibility of cleaning robots slaying their owners if they get in the way while they're tidying up. These warnings sound like science fiction, but they could become reality much more quickly that anyone would expect. These are scary times ahead if you do not educate yourself, friends and family to be prepared for the future. Interested to hear your comments or if you have been a victim and found ways to eradicate these crimes. In the meantime stay SAFE, HEALTHY, WEALTHY & WISE! Trust all the Dad's had a great relaxing day yesterday for Fathers Day. I want to share this great article written few months ago for the Gold Coast Bulletin. 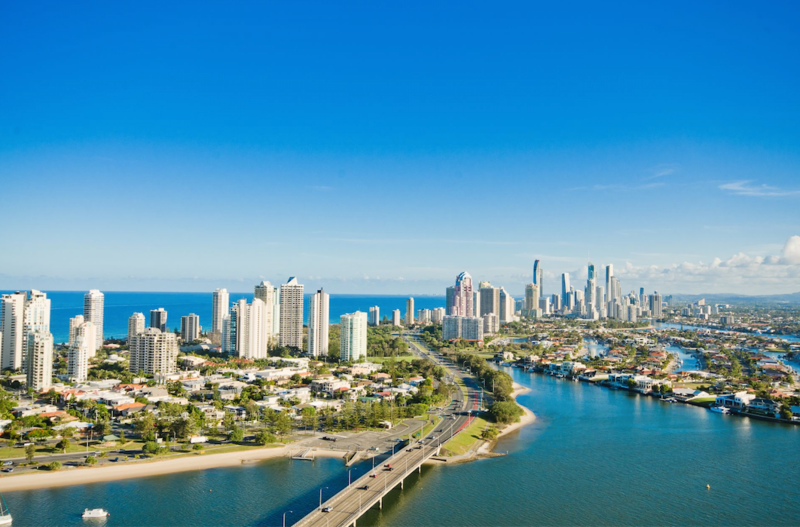 THERE is more evidence the Gold Coast property market is heating up, with some suburbs that enjoy waterfront views experiencing an unprecedented 25 per cent spike in land values. Queensland's Valuer General has released annual valuations for more than 141,000 properties in the city, showing land values on October 1 last year had increased by 14.4 per cent. The top suburbs are Runaway Bay (25 per cent), Broadbeach (25 per cent), Bilinga (24.4 per cent) and Labrador (22.9 per cent). Real estate and industry insiders are cautious of talking about a boom but those at the coalface say the property market began to heat up last October, with the best results for many waterfront suburbs since the Global Financial Crisis in 2008. Labrador-based real estate agent Eddy Sarroff said: "It's a boom at the moment in some sectors of the market. Certainly in the residential division with free-standing homes." Eddy Sarroff says some sectors of the property market like Labrador and Southport are booming. Mr Sarroff admitted the market had undergone "some softening" since the October land values were recorded but he and other analysts predict prices will continue to rise leading into the 2018 Commonwealth Games. Some Labrador homes worth $145,000 about 15 years ago were now being marketed at more than $700,000, he said. Area councillor Margaret Grummitt, a former policewoman, was celebrating the figures yesterday, aware the council and the police had worked hard since 2000 on measures to reduce crime in the suburb, once branded "Stabrador". "Everyone wants a water view," she said. "There are new blocks with $800,000 units." Several agents agreed that unprecedented demand since the GFC was due to a lack of housing stock, the return of tradies working on major projects, along with Chinese investors and buyers from interstate. Real Estate Institute of Queensland Gold Coast chairman, John Newlands, said buyers had the confidence to move on residential properties, with "the action in $450,000 to $600,000 range". REIQ Gold Coast zone chairman John Newlands believes buyers are starting to move on the market. Picture: Scott Fletcher "I don't know if we are heading into a boom as such but there's renewed confidence in the marketplace," Mr Newlands said. "People want to buy." Property Council of Australia Gold Coast executive director Chris Mountford said there was strong growth in apartment sales. "I think there's a return of confidence on the Gold Coast in terms of property development in particular. I think it's a good story," he said. Chris Mountford. Sustainable Development Gold Coast president Byyn Lummus said construction of major infrastructure projects and enthusiasm for the Games, along with tourism and foreign investment, was driving the market. The Gold Coast Bulletin earlier this week reported on a $3 billion construction boom which will see the northern suburbs become the city's "jobs engineroom". "This has helped better insulate the Gold Coast from problems experienced elsewhere in Queensland and keeps our unemployment low," Mr Lummus said. "This has built a demand for Gold Coast property," The increases had started from a very low base and the strong growth reflected that the Coast had yet to have a recovery period, post-GFC. "Sydney and Melbourne have seen strong growth over a number of years and in a very typical cyclical fashion this leaves Gold Coast property being a very attractive proposition comparatively," Mr Lummus said. "In addition, we are also seeing a tightening of bank lending for apartment developments in Brisbane, where a unit oversupply is expected in 2016. "This is focusing the attention of investors elsewhere, including the Gold Coast." Bryn Lummus from Sustainable Development Gold Coast. The city must expand its economy to prevent another boom-bust cycle. While SDGC's valuers did not believe the city was entering a boom similar to previous highs, especially from 2003 to 2007, there was "still a risk of a boom-and-bust' scenario" if the employment base did not improve. Homeowners in the booming suburbs were expected to be spared major rate increases but would have to pay more in land tax. 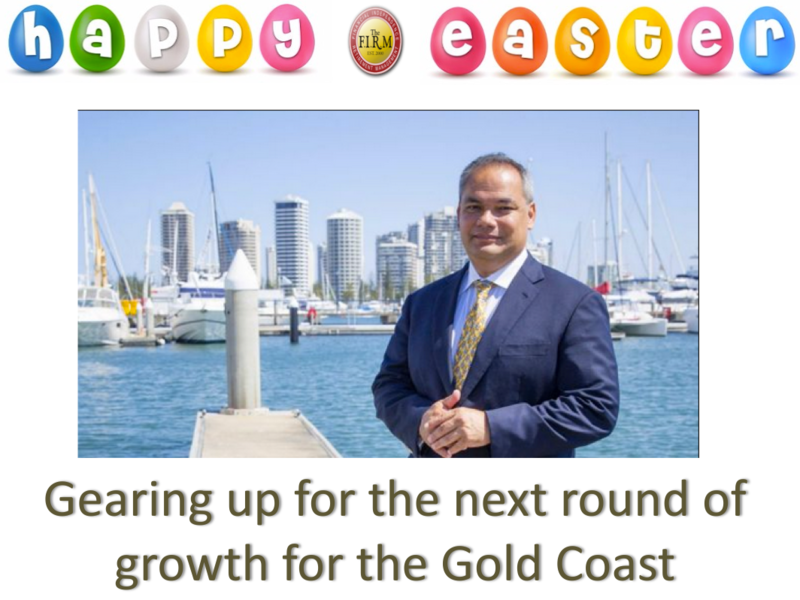 Council finance committee chairman William Owen-Jones said: "The valuations are a positive reflection of the uplift in confidence in the Gold Coast economy. "The rating categories are adjusted to reflect those increases, so the full values are never passed on to the average general rate." Council planning committee chairman Cameron Caldwell was not surprised by the strong land value increase at Runaway Bay. "It's a fantastic suburb,' he said. "The economy has bounced back and the very good suburbs always come back to what they should be." 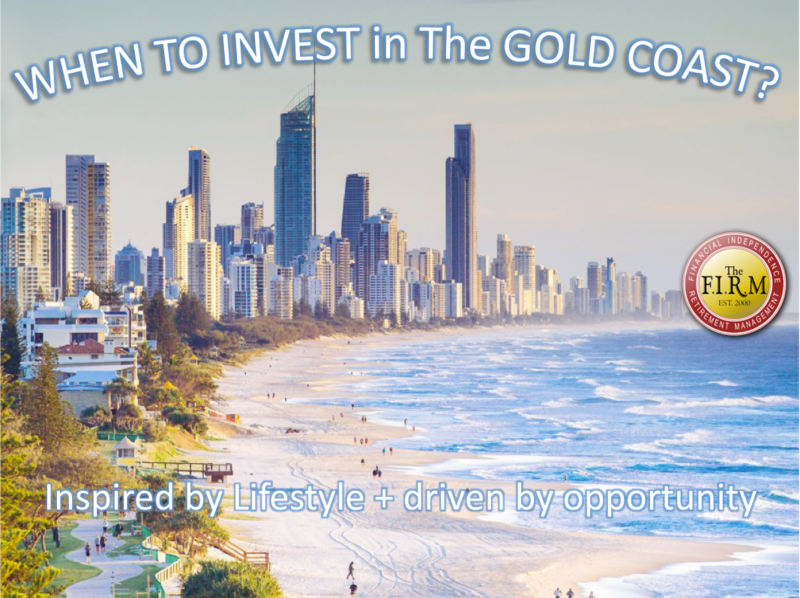 So, things are looking very positive for the future of the Gold Coast as equity in our investments are certainly on the climb for the future. Have a great week and in the meantime stay HEALTHY, WEALTHY & WISE. Firstly I would like to thank all those members who responded to our quick question on the Motor Homes which have been overwhelming. Contacting most of you who responded has allowed us to design a specific Motor Coach that we believe could satisfy most of the members. Stay tuned for more details soon! A personal friend and work colleague Andrew Bell, Principal, Ray White, Surfers Paradise wrote a great article which I want to share with you. We all know that the Gold Coast is experiencing a lot of growth at the moment, and as a result, there are a lot of eyes on the region, especially with the 2018 Commonwealth Games set to take place here. These developments range from better public transport all the way through to a revamping of tourism hubs, and when taken together show just how much the area is set to change over the next few years. As well as the Commonwealth Games, the Gold Coast is also experiencing a surge in population with an increase of more than 100,000 people in the last 10 years, according to data from the Australian Bureau of Statistics. Accordingly, there are a lot of smart investors and home buyers looking at the Gold Coast as a prime area to buy in. The question remains, when is the best time to get into the market? For some, this takes a lot of thought, but if you delay too long, you may just find that you miss out. Here's why 2016 is a great time to buy property on the Gold Coast. Property on the Gold Coast may be in hot demand, but that certainly doesn't mean that there's an infinite amount of it. This is especially true in the most desirable areas of the Gold Coast which only make up a small part of the overall region. Many experts see this as a potential recipe for a land shortage, which may only be five years away. This is an opinion shared by Leda Holdings acquisition manager Richard Duce and REIQ Gold Coast chairman John Newlands, both of whom foresee a struggle to find residential land. This is partly due to the geography of the region, with large areas of mountains or swamp that aren't particularly conducive to development. Of course, with greater scarcity comes higher prices, and Mr Duce predicts that by 2021, it could be nearly impossible to buy residential land for less than $500,000. Speaking to the Gold Coast Bulletin, he also mentioned that "land prices are already going up by $2,000 a month, which has accumulated to $48,000 in the past two years". This means that if you're on the hunt for a slice of real estate in the best areas, you're going to have to move quickly to avoid inflated prices if you can even find the right property on the market! The high price of land has prompted many residents of the area to purchase a unit on the Gold Coast, but it's important to remember that for every property that goes on the market now, there are more and more Australians moving to the area and looking to snap up a good bargain. 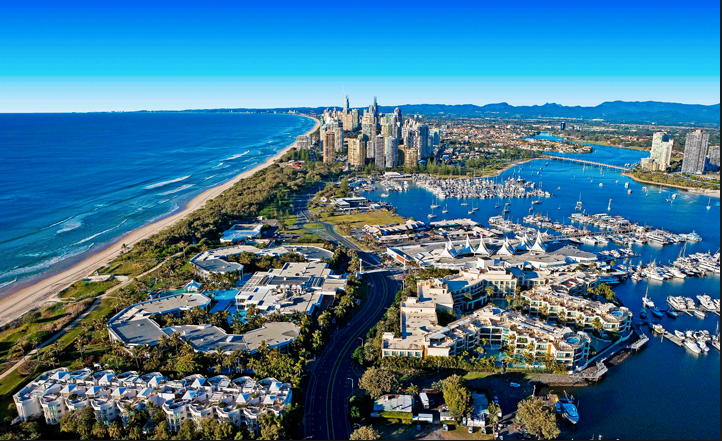 The Office of Economic and Statistical Research projects that the Gold Coast's population will continue to grow faster than any other area of the country, which is something of a double-edged sword for property investors. On the one hand, it means that there's a greater demand for places to live, creating a better market for those looking to rent out property. On the other hand though, with more families looking for places to live, there may be fewer houses available, especially if a land shortage makes moving unattractive. Taking all of these factors into account, there may not a better time than right now to invest in property on the Gold Coast. The changes are coming thick and fast, so if you want to avoid missing out, contact our team. 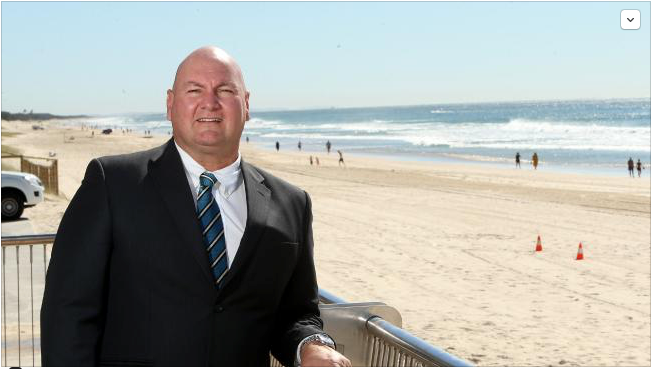 INTERNATIONAL visitor expenditure on the Gold Coast has risen 15.4 per cent in the 12 months ending March 2016, with Gold Coast Tourism CEO Martin Winter claiming the local industry is punching above its weight. According to Tourism Australia's International Visitor survey, international visitor expenditure on the Glitter Strip rose to $1.2 billion. "Our industry is really punching above its weight, with the 11 per cent growth in international visitors to the Gold Coast outstripping that of Queensland (up 10 per cent) and Australia (up 9 per cent)," says Winter. Winter expects this growth to continue, particularly on the back of the 2016 Australian Tourism Exchange held recently on the Gold Coast, which attracted significant media coverage across the world. Meanwhile, visitors from China were up 32 per cent in the year ending March 2016, supported by direct access from central China and via Hong Kong. China remains the dominant player for the Gold Coast and now accounts for 28 per cent of total international visitors to the Gold Coast, up from 24 per cent in the twelve months prior. Taiwan up 77 per cent to 29,000 and Hong Kong up 40 per cent to 28,000. In addition, the international education market continues to gain momentum, increasing by 22 per cent to 22,000 visitors in the year ending March 2016. The sector accounts for 21.5 per cent of total international visitor nights on the Gold Coast. "This data confirms the significance of the education sector for the Gold Coast and its sizeable contribution to international visitor nights and its contribution to the local economy," says Study Gold Coast CEO Shannon Willoughby. In the 2016-17 Federal Budget announced on Tuesday May 3, we heard about a number of proposed changes, mainly around contributions to super and to tax. Now that we know what the future may hold if these proposals are passed, how might the changes affect you and your family? Email me for a brief round-up of what the proposals could mean for you, your finances and your lifestyle. We hope you find it helpful and know it might raise some topics you would like to know more about. If you have any questions about how these proposals might affect you, please contact your adviser. Until next time stay HEALTHY WEALTHY WISE!!! All these public holidays have certainly made great relaxation times for us all however I guess the penalty is that our work load becomes unbearable especially if you are travelling. 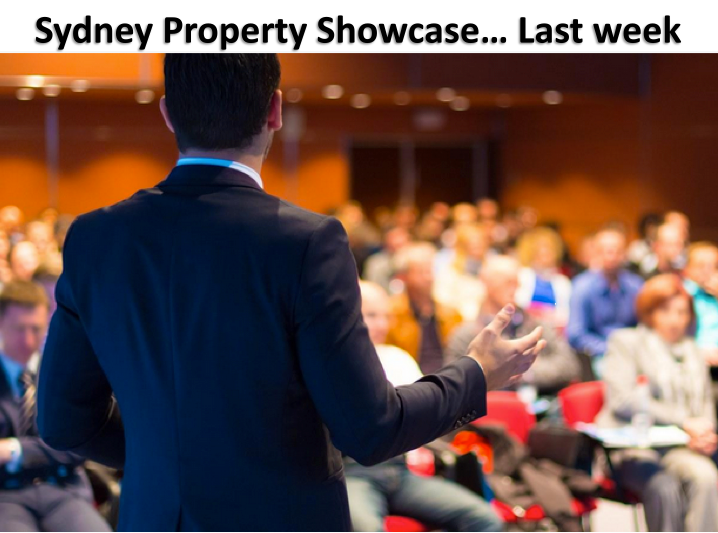 I was privileged to be invited to Sydney as a guest speaker last week being introduced to many new investors that are hungry for information and good quality properties throughout Australia to expand their port-folio. Due to public demand we have been requested to provide another seminar next month so stay tuned for the announcement!!! A recent study by MLC found two out of five Australians don't think they will be able to fund their own retirement; Paul Clitheroe discusses some strategies that could help avoid this. With the Federal budget around the corner, we take a look at how the proposed changes may affect you. Rising property prices, coupled with an ageing population, have created a need for options outside the usual property dwelling. IPAC delves into some alternatives you might want to consider. Dr Shane Oliver discusses why a sharp decline in property prices is unlikely in the near term, as well the reasons for declining negative gearing numbers in Australia, better than expected profit results and the outlook for Australian and global markets. Stronger than feared profit results and reasonable economic data in Australia, which are consistent with a rebalancing of the economy away from mining, are among the factors steering Australia away from a recession. We discuss this, along with the risk of a property crash and Australia's declining negative gearing numbers. Australian housing is expensive relative to incomes and rents. And household debt ratios are high. So yes, there is a risk of a sharp drop in property prices at some point. However, this is unlikely unless we see much higher interest rates or a surge in unemployment in the context of a recession. The foresight of the Reserve Bank and what has so far been a successful rebalancing of the economy in the face of the mining downturn mean that both of these scenarios seem unlikely at present. However, there is always a cycle we're going to see a 5-10% fall in property prices at some point in the next few years much like we did around the time of the global financial crisis and around 2012. But at this stage it's unlikely that we're going to see a property crash. The threat of a global recession rattled sharemarkets at the start of the year, and although global data is mixed, there are some signs of improvement. The manufacturing weakness in the US may be coming to an end and the US Federal Reserve (Fed) is slowing down its proposed interest rate hikes. Other central banks are gearing up to provide stimulus and this is contributing to a reasonably positive policy environment. Economic data within Australia has been reasonable and retail sales and housing indicators are quite solid. Confidence levels are hovering around long-term average levels. The Reserve Bank of Australia (RBA) might need to provide more support in terms of interest rate cuts, but there's certainly no sign of Australia entering into a recession. 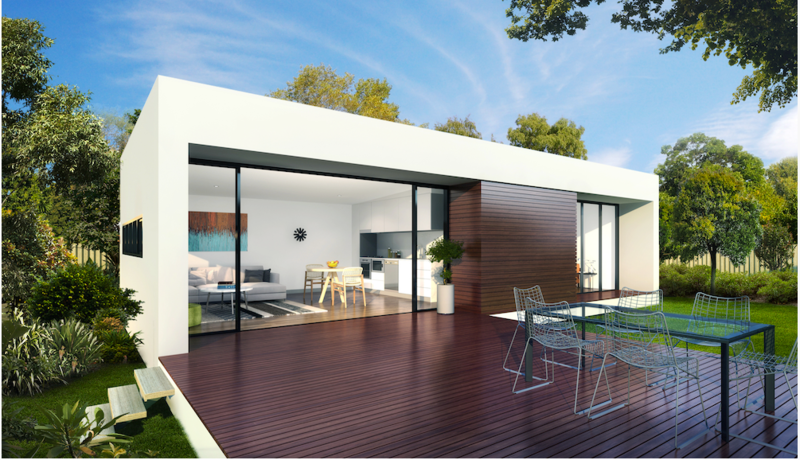 Put your backyard to work Across Australia, the granny flat is currently experiencing somewhat of a construction boom. And it's not hard to see why. Rising property prices, coupled with an ageing population, have resulted in an increased demand for multi-generational and multi-dwelling living. These popular and relatively affordable buildings offer considerable lifestyle benefits for homeowners. At an average cost of $100,000, they can be used as a home office, a teenage retreat or even as a separate living area for relatives or "boomerang" adult children returning home. For many parents, the addition of a granny flat can greatly assist their children to save for a home deposit whilst giving them a certain level of independence, privacy and freedom. Want to know more Contact me direct so I can forward you more details? Until next time stay HEALTHY WEALTHY & WISE!!! It has been a extra special weekend for us as it's also Annette's birthday. See details below! THE Gold Coast is gearing up for its next phase of growth after re-elected Mayor Tom Tate declared a mandate to boost the city's infrastructure with a cruise ship terminal and an expanded light rail network, wrote Nic Nichols for Business News Australia. However, the pro-development Mayor, who secured another four-year term with a big increase in his primary vote, is taking a conciliatory tone by arguing that the new council must work together to capitalise on the momentum leading up to the 2018 Commonwealth Games. 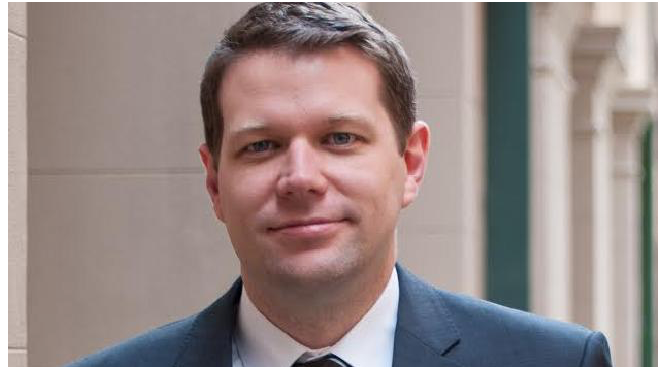 Tate almost doubled his primary vote to 64 per cent, taking it just short of the 65 per cent he achieved after preferences when elected in 2012. "It speaks loudly for the majority who are supportive of the vision I have for the city," Tate says. Tate's vote has improved despite a number of protests staged during his term, particularly against high-profile projects such as a Broadwater cruise ship terminal and, more recently, the twin-tower redevelopment of Mariner's Cove by Sunland Group (ASX:SDG). 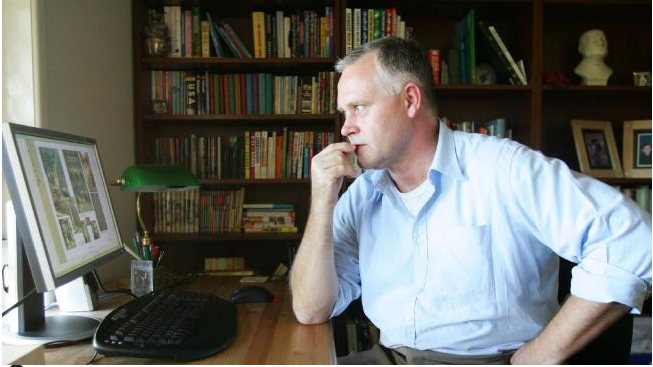 The fate of the Sunland development remains in the hands of the newly elected council. After meeting with council CEO Dale Dickson today to work through the draft city budget, Tate played down any hint of divisiveness by pledging to work with the new council, including six newcomers, to bring big projects for the Gold Coast to fruition. "It's our time to shine," Tate says. "We are at the tipping point and only as a team can we deliver the best outcome for our city. I don't think we should waste a minute ego pandering or in-fighting. "Everyone has to be on the journey together. It doesn't matter if you voted for me or not, I'll do what's best for the city that we all love. "I think it's a great mix of councillors coming through and we'll achieve great things for our city." Tate says he doesn't plan to play the mandate card too often when approaching federal and state funding for projects. He says the Gold Coast needs to establish strong economic and business case for each project. Among the top priorities is to pursue stage three of the Gold Coast light rail to link with Coolangatta Airport and a new city ferry service. Tate's proposal for an offshore cruise terminal is still on the agenda, although Tate is adamant that it has to pass a rigorous environmental assessment. "With the cruise ship terminal, the first issue is whether it's doable and that the environmental impact boxes are ticked. Until that's done, it doesn't matter if you have a mandate, I will be the first one to vote it down." Meanwhile, Tate says a double-dissolution election should not affect potential federal funding for Gold Coast projects. "This is the biggest regional city in Australia and no matter what side of politics at the federal level, they recognise that," he says. Tate says a new commuter ferry service will be a relatively low-cost project that will deliver benefits in terms of easing traffic congestion during major events. "The (Gold Coast) Waterways Authority is on board and it will be wonderful to have a ferry service, particularly for an event city like the Gold Coast," he says. Have a great short week ahead! I can't believe the week has just flown past, is it because we are getting older? You have known for years that I will only send you information if I feel that it is important for you to know about and is not common practice to send out bulletins just for the sake of it, however this week there has been great information that I have to share with you. 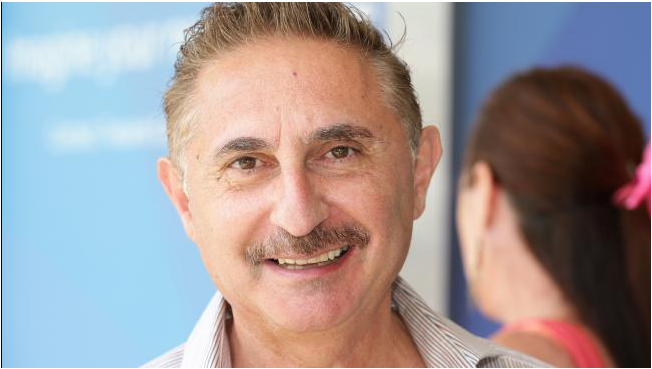 Here is an interesting article just released in Business News Australia this afternoon that I needed to share with you written by Nick Nicols. FEARS of faltering Chinese growth and a global downturn are all playing in Australia's favour with one forecaster predicting we are on the verge of a new economic boom, and one that's likely to last for some time. Dr Frank Gelber, chief economist with BIS Shrapnel, told a Brisbane briefing this week that the next growth story unfolding for the Australian economy is in the services sector, and particularly tourism and education. Both of these industry sectors are now exceeded pre-GFC levels, picking up strength after years of 'repression' from a strong dollar that at one stage was trading above parity with the US currency. "We ain't seen nothing yet," says Gelber. "Five years from now these sectors will be booming, and I don't use that term lightly." While China may be perceived as the growth market in both education and tourism, Gelber forecasts domestic travellers will be a major driver of momentum. He says education will also be a conduit for increased migration, adding to the economic growth story. The key to the boom remains the lower Australian dollar, which Gelber says was 'ridiculous' at parity with the greenback. "The dollar's not going to go up dramatically for a long time yet," he says. "Now the norm is US70c to US75c, with the possibility that it will go below US70c. That's enough, not as low as I would like, but it's enough." BIS Shrapnel says the optimum range for the dollar is between $US58c and $US70c. Gelber is confident that rising US interest rates will keep pressure on the Aussie dollar, while the Reserve Bank's cash rate is likely to stay at current levels as the US rate cycle unfolds. Gelber doesn't see any move upwards in the currency 'for a long time yet'. As for fears over a slowdown in China and the global economy, Gelber remains bullish that neither will derail growth in the Australian trade-exposed sectors. Gelber says the US is 'doing fine', Europe is struggling but showing signs of recovery that should put an end to the Eurozone recession cycle for some time. "China's growth may have slowed, but it is still growing. Our problems aren't about world growth. Our problems are about Australia. "We've got our own axe to grind, which is to rebuild our economic base and there's good conditions for that. "Inflation is contained and the recovery in non-mining businesses is going to take time. We still have to absorb the shock of the drop in (mining construction spending)." Residential building is peaking, and despite weak wages growth retail spending is still improving, he says. "The consumer is absolutely crucial in this picture (and) people are still willing to spend. "The structural shift is going to take time, but three years from now, perhaps even two, the negative shock will be gone." Gelber forecasts tourism regions such as the Gold Coast and Cairns will be in the sweet spot of the looming boom, driving population and construction growth. "They will be the big growth regions of the future," he says. "Retail sales will be picking up, housing demand will be picking up. We will see a classic upswing, the sort of thing that we saw in the mining regions, but not as strong, not as quick and not as fickle. "What we've seen now are only the beginnings of a pick-up. We've got a long catch-up to go to get back to where we would have been if not for a high dollar. "If you look at tourist towns they were booming before the dollar went up, then fell into a long period of dismal, supressed activity. "Now the tourists are coming back, not just from overseas but more particularly domestic tourists as well. That is boosting activity across the board and it will end up boosting population growth. "Because we think the dollar will stay low this is just the beginning of the process." Have a great remaining week ! Trust you are preparing for a relaxing Saturday, unlike us .... GULP!!! Jayden, who many of you have met over the years now has his car licence driving the PT Cruiser and us mad :) This evening he has his School Formal, looking all very grown up in a suit How time flies!!! I will you send some pictures of the special night that is planned. This is a great article I wish to share with you as time does fly and to prepare yourselves for the "P" word "PENSION" Pensioners face two major challenges according to Noel Whittaker, author of Making Money. The first is the continual shifting of the goal posts on one direction - to tighten eligibility. The second is the quandary facing pensioners whose assets are at the higher end of the scale when trying to maintain an investment port-folio which they can live with, but which will let them sleep at night. From next January a couple with assets of $750,000will receive an age pension of less than $5,000a year. Yet that $750,000, if left in the bank will be flat out returning $19,000 year. The paradox is that most people will have to rely on a port-folio that is biased towards shares to get by, yet shares can be nerve racking investment. This is why Noel has long recommended that people start investing in shares at an early age - giving them time to get used to the vagaries of the market. The value of assets do not include the home, while your chattels such as furniture, car, boat are valued at second hand value not replacement value. This puts a figure of $5,000 on most peoples furniture. Thus a couple can live in a multi-million home, earn $60,000 a year, have other assets worth $800,000 and still get a small portion of the aged pension and all the goodies that go with it. You can reduce your assets by gifting money away, but seek advice before you do so. Centrelink rules allow gifts of only $10,000 in a financial year with a maximum of $30,000 over 5 years. 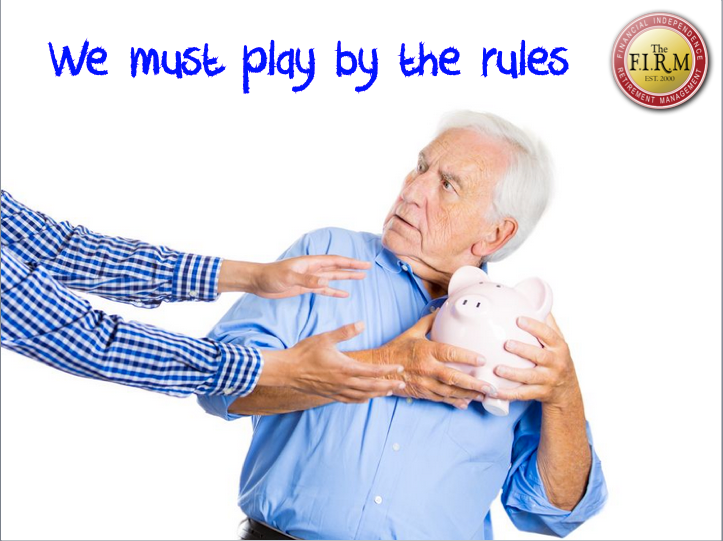 Using these rules a would be pensioner could give away $10,000 before June 30and $10,000 just after it, and so reduce their assessable assets by $20,000 quiet quickly. Pensioners who are income tested should note the deeming rules, which determine the income Centrelink applies to pensioners financial assets. The current rate for a couple are 1.75%on the first $80,600 and 3.25%on the balance. For a single pensioner the first $48,600 is assessed at 1.75%and the balance at 3.25%. The assets subject to deeming include bank accounts shares and managed funds, debentures, superannuation when the owner has reached pensionable age, and deprived assets such as excess gifts. There is no penalty in the money is invested to earn a higher rate than the deeming rates. One strategy to increase your pension is to spend money on renovations or TRAVEL. (TRAVEL CLUB) While this maybe effective in the short term, it assumes there will be no more changes pension eligibility. Given the deadly combination of budget deficits and rising life expectancies that would be brave assumptions indeed. Have a great week ahead! 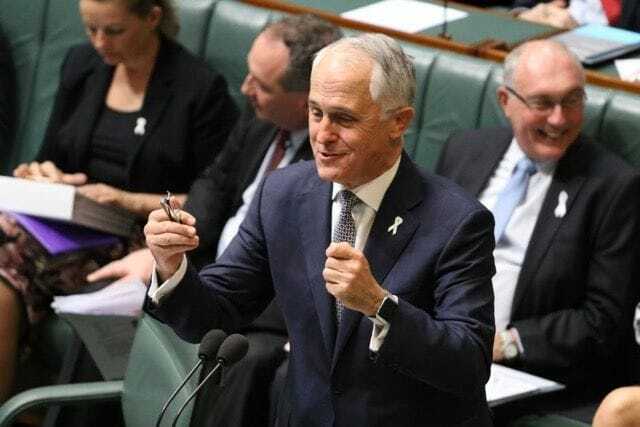 "Malcolm Turnbull facing 'significant' backbench concern over potential negative gearing change"
Well, there are interesting times ahead with all this talk of negative gearing changes. I remember clearly back in the days of Paul Keating as Prime Minister "The Banana Republic" where he wanted to abolish negative gearing, realised if he had continued to implement his actions that the Australian Government would then have to be responsible to provide low cost affordable housing to the community as it had done previously for enclaves of Government Housing. He reversed his opinion quickly as many investors looked at other alternatives, including off-shore investments with better returns. To attract the investors back into the fold he offered sweeteners which included higher depreciation schedules for fittings and fixtures for the first 10 years which provided many investors better returns and at the same time eliminated the Australian Government becoming exposed to building low cost housing. We as members of The FIRM have provided 10's of thousands of properties over the 25 years throughout Australia. Each of us enjoyed the negative gearing aspect to compliment towards our retirement. The main reasons were to increase our tax deductions to offset our home loan faster with the added advantage to provide housing to those less fortunate than ourselves and the bonus was to secure a more comfortable lifestyle as we all venture towards retirement. My question is, if the negative gearing is tampered with for the future the Australian Government has to consider many serious options, one of which is where are the young couples going to reside as housing prices continue to spiral upwards especially Sydney and Melbourne. There is plenty of recent evidence for many default loans occurring within the community, yet we continue low interest rates. What is going to happen when the interest rate start to increase, what is going to happen to our young community? The possibility the Federal Government will cut tax breaks for property investors in the May budget is creating nervousness on Malcolm Turnbull's backbench. Shorten's alternative negative gearing policy labelled "unfair"
ACT Liberal senator Zed Seselja said "there would be significant concern" among his backbench colleagues if Mr Turnbull changed negative gearing rules. "We should tread very cautiously in the area of negative gearing," Senator Seselja said. "If we have a policy that starts to tinker with negative gearing, the potential is, even if it's a very sensible policy, even if it's only relatively minor changes, then that will affect confidence as well if both parties are taking that forward." West Australian Liberal backbencher Ian Goodenough said business people in his electorate "people who work, save and invest" raised concerns with him over the weekend about the impact negative gearing changes would have on confidence. South-western Sydney Liberal MP Craig Kelly said he was worried changes to negative gearing would push up rental prices and make it even harder for people to save to buy a house. "We need to remember sometimes when we play with these taxes they have a lot of unintended consequences," Mr Kelly said. "Rather than tinkering at the edges and trying to tinker with taxation policy or something here and there, the simple fact is there is just not enough supply." Townsville-based Federal Liberal MP Ewen Jones said negative gearing was a big issue in his electorate. "We have a 40 per cent rental market here," he said. Mr Jones said he would support changes to curb the excessive use of negative gearing, but wanted it based on sound modelling. "If we can come down with a sensible limit on a dollar amount or a number of properties you can have, that benefit the community, that's where you've got to end up," he said. Victorian Liberal MP Michael Sukkar also said it was important to consider the issue carefully. "The Prime Minister is doing just that," he said. "We cannot afford to undermine the property market in this country." On Saturday, Opposition Leader Bill Shorten proposed changing the law so that from July 2017 only new properties would be able to be negatively geared. Mr Turnbull attacked Mr Shorten's plan as badly designed, but said the Coalition was also considering changes to negative gearing rules. Some in the Coalition believe attacking Labor's policy would be a vote winner, and therefore the Government should leave negative gearing alone. Welfare advocates have called for negative gearing to be scrapped altogether. Australian Council of Social Services chief executive Cassandra Goldie said negative gearing did not create enough affordable housing stock and should be dumped. "What we want is to withdraw negative gearing generally across the board into the future, but we provide a tax incentive specifically targeted to construction of new properties," she said. Interesting topic for conversation What are your thoughts? The first announcement for 2016 has just been released and we have the news for you hot off the press. 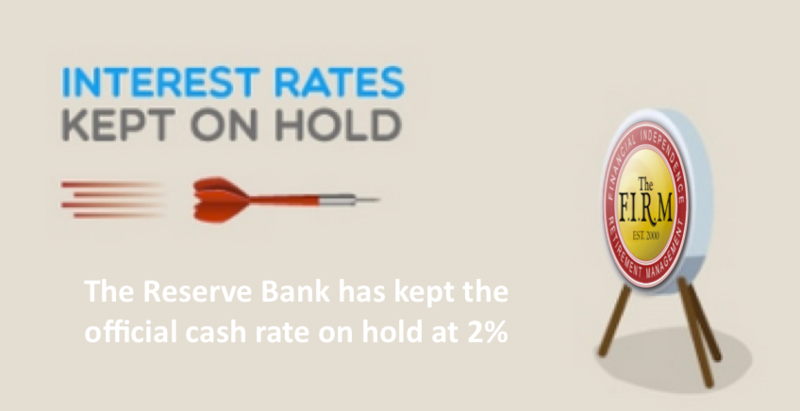 The Reserve Bank of Australia has again decided to leave the official cash rate at 2.00%. This approach was predicted by many commentators as the Reserve Bank assesses the impact of the lower Australian dollar, falling fuel prices, a volatile share market and a slowing housing market. The lower Australian dollar and resultant increase in the cost of imported goods offset cheaper petrol prices and saw a slightly unexpected increase in the latest CPI figures. In reaching the decision to leave rates unchanged it appears the RBA has balanced any future currency-driven inflationary threat out against the jittery share market and more cautious housing market. Even though the cash rate has remained unchanged, lenders are making daily changes to lending rates so it's still wise for us to talk if we haven't spoken in a while to ensure you're still in the right finance solution. Call us today to make sure you are taking advantage of regular changes in the increasingly competitive mortgage market. Have a great week ahead!